Feeling flat after the festivities? 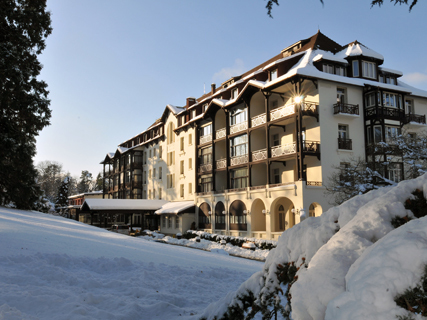 A trip to the snow sprinkled Alpine town of Evian Les Bains may be just what the doctor ordered. It is, after all, a town famed for it’s medical marvels. The year is 1789 and the Marquis de Lessert enjoys the taste of evian water from a natural spring on his friend, Mr Cachat’s property in Evian Les Bains. His kidney stones are cured and the fate of the French town is sealed. 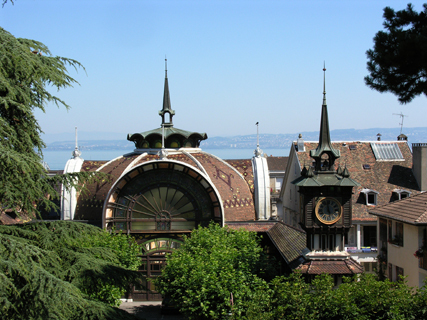 Evian Les Bains has been establishing its routes in health and wellbeing ever since. Pure lifestyle? The locals have been in on it for ages. Located between Lake Geneva and the foothills of the Chablis mountains, the quaint town of Evian Les Bains is the ideal setting for recovery and revitalisation. Strolling along the lake’s shore, past the century-old casino, theatre and thermal baths, we find ourselves at the heart of the picturesque resort. The Cachat Spring. Every drop of rain or snow that falls upon the pristine peaks of the French Alps, I am promised, embarks on a 15-year journey beneath the earths surface and finds its way to the town’s Cachet Spring, where it is bottled at the source, as pure as pure can be. Impressed we head back to our hotel, the Ermitage. Recently renovated, the 4 star hotel, with its chic interior and attentive staff, makes for a charming and cosy stay. Past the hotel’s sprawling gardens, on the horizon of the infinity pool, lays the Ermitage’s grander sister, the Royal where, delighted, we spend the afternoon being scrubbed, wrapped and bathed at it’s evian spa. A blissful experience guaranteed to un-furrow your brow. A delicious five course meal, think baked scallops on leak fondue served avec forgotten vegetables, followed by a soundless nights sleep means we are refreshed and energised for a hike in the snowy mountains the next morning. With it’s Masters golf courses, nearby ski resorts and water-sports on the Lake come summer, you can take it as hard, or easy, as you want at Evian Les Bains.